India’s performances at the Commonwealth Games in Gold Coast and the Asian Games Jakarta came to the fore with shooting, winning two awards. Pistol shooter Saurabh Chaudhary won the Emerging Sportsperson of the Year award, while his coach Jaspal Rana was named the Coach of the Year. Saina Nehwal’s badminton gold in Gold Coast meant she won the Comeback of the Year award. Boxer Amit Panghal’s victory against reigning Olympic champion Hasanboy Dusmatov at the Asian Games won him the Match of the Year, while the women’s table tennis team won the Team of the Year award for bagging gold at the Commonwealth Games ahead of serial champions Singapore. Ekta Bhyan, who competes in the club throw and discus throw in para-athletics, won the Differently-abled Athlete of the Year award for her two medals at the World Grand Prix in Tunisia in addition to a club throw gold at the Para Asian Games. There was a hat-tip to history with Pradip Kumar ‘PK’ Banerjee given the Lifetime Achievement award for his contribution to Indian football as player and coach, and an audience poll won the Women’s 4x400m relay team the Moment of the Year award for their thrilling win at the Asian Games, a fifth successive gold in the event for India. 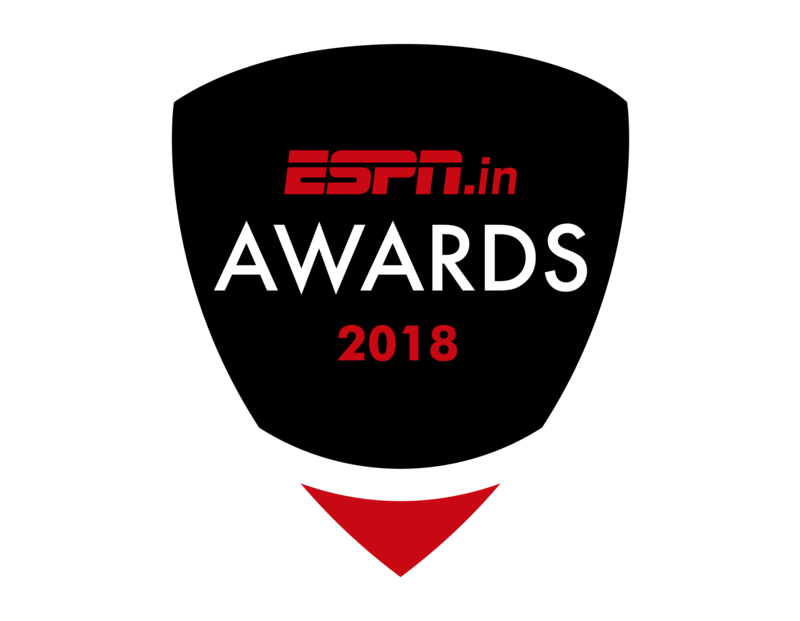 The ESPN.in Awards recognise the best individual and team performances in Indian sport on a calendar-year basis. Cricket is already covered by ESPNcricinfo’s annual awards and so is not included in these awards. The jury, which selected eight of the 10 awards, included some of the biggest names in the Indian sports fraternity: Rahul Bose, actor and activist and a former India rugby international; Abhinav Bindra, the only Indian to have won an individual Olympic gold; Ashwini Nachappa, long jumper and runner who was among the foremost track and field stars of her generation; Renedy Singh, former Indian football captain and now a recognised pundit and commentator; Rohit Brijnath, who has covered Indian sport at all levels for the past three decades; and ESPN’s senior writer Sharda Ugra. Neeraj, Sindhu, Saurabh and Saina were almost unanimous choices in the final voting tally, while Jaspal Rana had to fight off a close contest with India’s former table tennis coach Massimo Costantini. Sindhu’s World Tour Finals win against Nozomi Okuhara was a close second to Amit Panghal’s Asian Games triumph, while the Differently-abled athlete award was decided by the final vote, with Ekta, multiple Para Asian Games swimming medallist Suyash Jadhav and Sandeep Chaudhary, who won India’s first gold at the Para Asian Games with a new world record in javelin throw, all separated by just one point each.